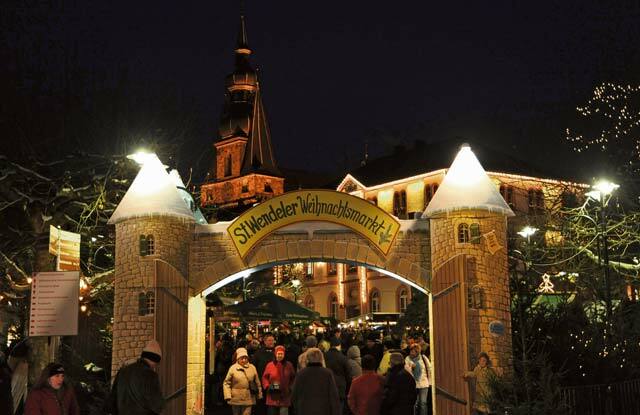 The Christmas market in St. Wendel also features a medieval market through Dec. 15. 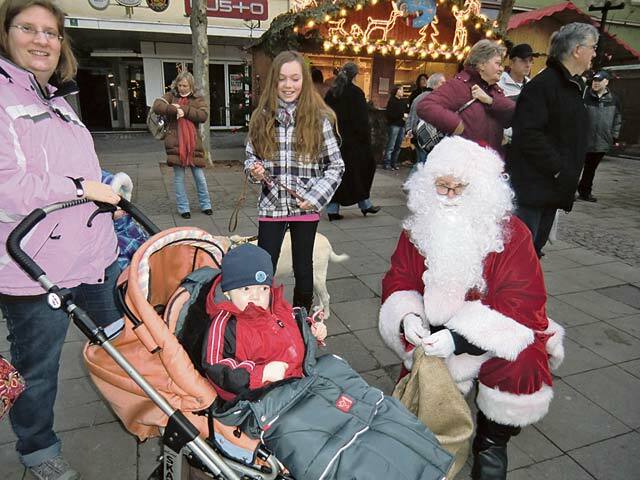 The City of Sankt Wendel will hold its Christmas market combined with a medieval market Saturday to Dec. 15. More than 130 little decorated houses and booths will offer arts and crafts, gift ideas and regional culinary specialties from 11 a.m. to 8 p.m. daily. Vendors in historical costumes will sell their merchandise. Craftsmen such as basket makers, lantern makers, blacksmiths, potters, turners and soap makers will demonstrate their work and ask visitors to try to do the same. Jugglers, dancers, singers, musicians and a magician will entertain in the streets and on stage. Camp groups will demonstrate how people lived, worked, ate and celebrated in the Middle Ages. 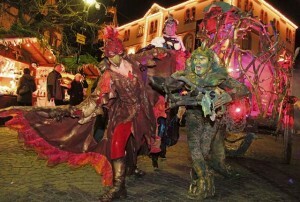 Street artists in fire bird costumes entertain the audience at St. Wendel’s Christmas market. A Roman re-enactment group will display Roman times during the time of Christ’s birth Dec. 14 and 15. Every afternoon at 4 p.m., the Three Holy Kings from the Orient and their camels will go through the center of town. Back at their camp they will perform the Christmas story in colorful scenes. Each day there will be a show with fire, lights, music and dancing. Children can meet Santa Claus and his reindeer at 11:30 a.m. and 2:30 and 6:30 p.m. daily. They can have a seat on his slide and tell him their wishes for Christmas. A 12-meter-tall Christmas pyramid, life-sized nutcrackers, a miniature village with 200 dwarfs and a big Nativity scene will lure visitors as well. A toboggan run with snow from the Alps will provide some winter fun Monday to Friday. A nostalgic merry-go-round, a colorful magic tree and live animals will provide some more excitement for children. A night watchman with horn and lantern will patrol the market at 7 p.m. before the brass players perform from the basilica tower at 7:30 p.m. to let visitors know that the market is about to close. For more information, visit www.sanktwendel.de. Sankt Wendel is a little romantic town in the federal state of Saarland, north of Neunkirchen. Parking is available in City-Garage from 6:30 a.m. to 10 p.m. weekdays, and 11 a.m. to 10 p.m. Sundays.